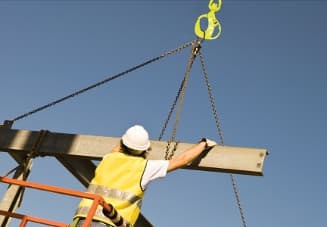 The law* says that an employer providing lifting equipment must ensure that risks created by the use of the equipment are eliminated where possible or controlled by providing appropriate hardware. All standard lifting hook designs carry the same inherent hazard : to open or control the hook, the operator MUST place their hand within the hazardous hook/sling interface. This is a known cause of common pinch and trap injuries associated with the use of traditional "latch lock" hooks – some of which are serious finger and hand injuries that have resulted in costly compensation claims. The patented Nautilus Hooks™ design eliminates this risk and provides a simple, safe, one-handed operation that puts worker safety first. This unique design puts an end to pinch and trap hand injuries, and thanks to the intellegent configuration between the handle and lock which promotes a "rotational arm" motion to open the hook, giving the hooks a light and easy operation, the wrist bending (and strain) motion required by traditional hooks is also eliminated. 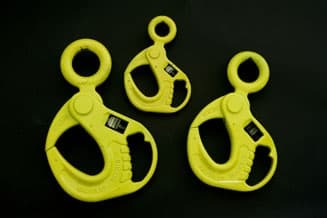 Nautilus Hooks have proven safety benefits that enhance workplace safety for all lifting operations. A technically advanced design that was developed over 3 years with the aim of putting worker safety first. 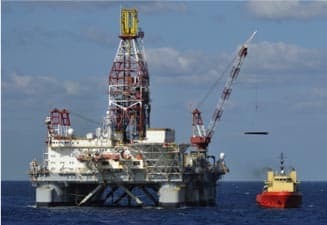 The prototype hooks were subjected to 12 weeks of field trials on North Sea drilling rigs in spring 2009, totalling 3,125 man hours of use. Since the products were launched in September 2009, Nautilus Hooks have been in faultless service with many leading organisations, who, wishing to remain at the forefront of safety initiatives, immediately adopted Nautilus Hooks as the "next generation" lifting hook having recognised the proven safety advantages and positive step change in safety that this new safety product provides. All Nautilus Hooks™ are manufactured from high-grade alloy steel to EU and US standards, Our products have DNV type approval and all Nautilus Hooks are individually proof tested as part of our stringent Quality assurance program. Nautilus Hooks™ are available in a full range of sizes and configurations.